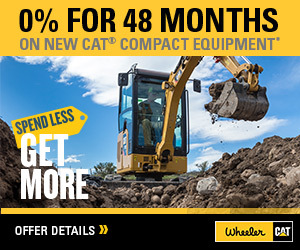 Cat Equipment Rentals in Utah | Wheeler Machinery Co. If you’re looking for a reliable construction equipment rental, Wheeler Machinery Co. has the machinery you need at the rates you want. We feature a full line of mid-size and smaller Cat® machinery. Because we are a full-service rental store, we also carry a large variety of other name brand tools and equipment, anything from light towers to generators to aerial lifts and much more. Rental equipment rates: Call 801-974-0511 for pricing or reach out to us online for more information. All machines and equipment in our construction equipment rental fleet feature low hours and come fully serviced and ready for use. 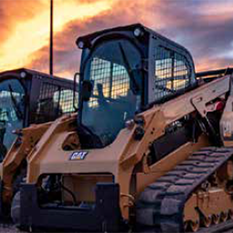 As the sole authorized Cat dealer serving our region, we back up all rental equipment by the legendary manufacturer with factory-trained service and diagnostics. As a result, when you rent Cat construction equipment from us, you can count on your unit to deliver world-class performance, whatever the task. Our fleet includes sophisticated and powerful pavers, compact track loaders, articulated trucks and other Cat machines. We also rent work tools and other attachments that provide additional on-the-job flexibility. Follow the links below for detailed information about available equipment. You have a short-term or one-off job that is beyond the capabilities of your current fleet. You want to avoid the hassle of leasing equipment, or need to free up credit to cover other expenses/investments. You need to keep working at full capacity while part of your fleet is out for repairs or maintenance. You have a job in a remote location or harsh environment and want to avoid transportation and maintenance expenses. You are considering making a permanent addition to your fleet and want to try a Cat machine out in real-world conditions before buying. 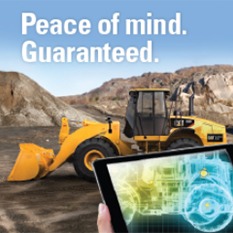 Whatever your reasons for renting Cat construction equipment, Wheeler Machinery Co. can help. We offer flexible rental options, with rates by the day, the week or the month. With a network of locations throughout Utah, we can provide convenient and affordable transportation to job sites near St. George, Salt Lake City, Vernal and elsewhere in the Beehive State. We even offer an exclusive rent-to-own program in which, should you decide to keep your unit, a portion of your rental fees can be put towards a down payment. For more information about our construction equipment rental options, contact a Wheeler Machinery Co. representative in your area today.